I got in touch with Derk and he answered my questions. As we started in the early 80ies, we were (and we are until now) fans from ProgAct of the 70ies (Genesis (Gabriel years), Camel, Saga, Kansas, Pink Floyd, Yes, ELP and all these great bands. But there was also a bit hard & heavy like Magnum, Deep Purple, Nightwish and Dream Theater (later). At this time we knew that we were not as good as our heroes, so we decided to play a mix of light prog and hard rock. In addition the 80ies were not suitable for a new progrock band. There were only a few exceptions like Marillion. But our mix worked fine and we became a good live band. From that time we developed more and more but our influences were every time the above-mentioned. 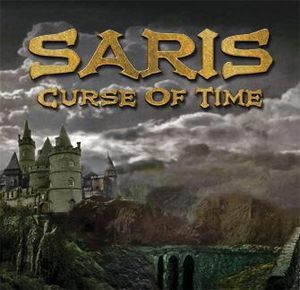 Let me say that every time Saris was my band, like Andy Latimer and Camel ;o) Therefore, our music was mainly influenced by me and bands that I’m interested in. But for me it is important to act as a team, so every musician of Saris must have the possibility to participate. That is the reason why the influences changes. Every time there is a bit Kansas and Saga present, but sometimes there is a bit of Magnum or DT or Camel or ………. The Name….Saris….. smile. We had no better idea. That’s it. First we called us Review then Sirius, Sa-ga….Si-rius….One day our Keyboarder Wolfgang said, hey Saris would be nice. Over to your two albums. Your debut album Dead End Street was released in 1993. Please tell us more about this album. We recorded Dead End in only one week. I like this album, but it is not that kind of music I really wanted to play. And then there was a sixteen years years long break. What were you doing during this break ? We had a good time after the album release, some great gigs and the album was accepted by our fans. But there were other interest like family, business carees and Stefan and me were unable to reach an agreement on the style of our upcoming album. The decision was to split, no album and to not jump. At that time we never thought to do a reunion with Saris. I spend time with my family, my job und sometimes I did some songwriting in my home studio, only for myself. Seldom I played guitar for some other acts. Your second album Curse of Time was released in 2009. Please tell us more about this album. I try to give a short answer ;o) That was fortune. In 2006 the last Saris Drummer, Achim (also a good friend) called me, to play guitar for him. Achim became a professionell composer for soundtracks. He was an excellent Drummer, but played keyboards as well and some other instruments. I told him, that I would like to record some from the old Saris stuff from the time before Dead End and some of my new songs as an “private” solo album. Achim was thrilled and wanted to be part of this. So, we both began to work in my home studio and created some great stuff. We had much fun and were very amazed on that growing project. On the layout songs we played all instruments by ourselves. But the songs were demanding and we needed a real bassmann and a good singer. So Lutz, Anja and Thomas joined. After a time of songwriting, arranging and recording Achim played real drums in the Principal Studios. At that place we also mixed and mastered the album. I hope u can hear that fun we had, while creating Curse Of Time. How would you describe you music and which bands would you compare yourself with ? I think that Curse is exactly that thing I ever wanted to do. It is that concept of music that Kansas do. Kansas playing songs with complex structures but everytime they find a way back to well melody in their chorus. Especially the vocals are very http://dict.leo.org/ende?lp=ende&p=Ci4HO3kMAA&search=harmoniously&trestr=0x8004" rel="nofollow - . We are not as good as Kansas, my God, but we follow their way. But I mean, we don’t want to be a Kansas Cover, I like the way they write songs. Saris are a bit from myself and while I worked on Curse I was strongly influenced by Kansas, Saga, Nightwish, DT, Magnum and some others. What have you been up to since 2009 and what is your latest update ? What is your plans for this year and beyond ? Sadly Achim died a short time after release of Curse. This was a shock for all of us. I could not realize that until now. So we rejected all our plans about touring and video. 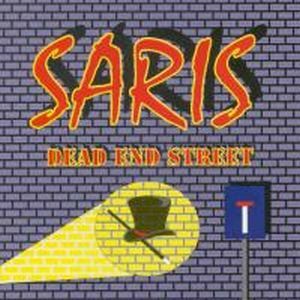 On the other hand I have to say that today Saris is a project around me and not a real band. If we had done that tour, we had to hire some additional musicians. Lutz and Anja are touring with their own band (a cover band). Thomas sings backing vocals for many top acts, like Saxon, Blind Guardian, Rage a. o. Today I contact Thomas very often and I think we will do a new album together. I have decided to write some new songs this year. Also Thomas and me would like to remix a techno version of “Waiting4” …only for fun. 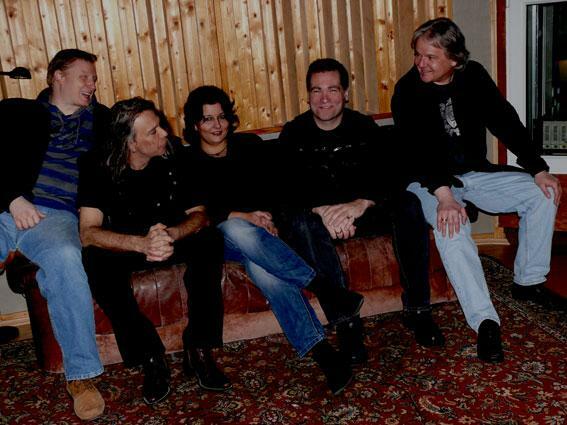 Don’t panic, we will stay a progband, but may be with more hard & heavy influences….. Thank you very much for your interest in Saris. You are welcome to contact me whenever u like. If there is something new, I will let ProgArchives know.